If you thought the past few weeks were a busy time for US initial public offerings, just wait for the next wave of listings. Since the federal commission that oversees IPOs reopened after the partial US government shutdown stymied activity at the start of the year, companies have rushed to join the public markets. Fifteen companies raised more than $5.5bn in IPOs on US exchanges in the past three weeks, more than three times the total raised by 22 companies in the first 11 weeks of the year, according to data compiled by Bloomberg. That amount is likely to be eclipsed several times over in the next month as high-profile tech startups including Uber, Pinterest and Zoom Video Communications join the unicorns - private companies valued at more than $1bn - dashing to market. 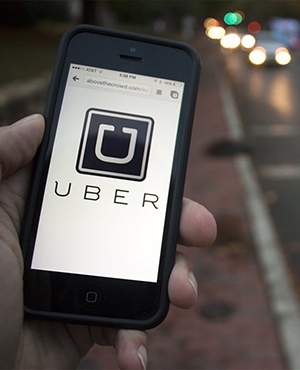 Uber, which is seeking to raise about $10bn, could publicly file its IPO documents as soon as Thursday, people familiar with the matter have said. It’ll be the first chance for detail-hungry potential investors to look at hundreds of pages of in-depth information on the ride-sharing giant’s business plans. Add to that the $3bn that other companies, including Pinterest and Zoom, are seeking to raise in the next 30 days, and it’s clear that the 2019 IPO tsunami is on its way. Levi Strauss started the IPO flood in March with its $623m offering, followed closely by Uber rival Lyft, which raised $2.34bn. Bank-backed Tradeweb Markets topped $1bn in its IPO on April 3, rounding out the trio of the year’s biggest listings worldwide - so far - as well as in the US. Not all of them are thriving. While Levi Strauss and Tradeweb are trading well above their IPO prices, Lyft has slipped in its two weeks as a public company. Shares closed at a record low of $60.12 on Wednesday, well below the $72 per share IPO price. Still, even Uber’s listing, likely to start trading in May, could be only the leading edge of the surge to come. Others considering going public include Slack Postmates, Palantir and Airbnb. In Europe, where activity has been shaky, the drought is breaking. Three IPOs are set to price in April that could raise a total of more than $5.7bn. Network International surged in London trading Wednesday after raising $1.4bn in the biggest listing in Europe this year. Fellow payments firm Nexi SpA could raise as much as $2.5bn in an IPO expected to price on Thursday, while Stadler Rail AG is seeking as much as $1.4bn this week. In total, as much as $80bn could be raised in US IPOs alone this year, double the yearly average since 1999, Goldman Sachs predicted in November - an estimate that may prove low.